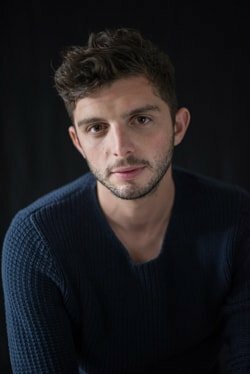 Directed by James Hillier, the cast includes Gethin Anthony, Nancy Crane, Alexandra Dowling, Kate Fahy, Michael Fox, Robert Lonsdale, Laura Rogers, John Stahl. Michael Fox who plays the role of Frankie answers a few questions about the production. Q: You are in the cast of A Lie of the Mind – what can you tell us about your character and how he fits into the storyline? Michael: I play Frankie, Jake’s younger brother. He seeks to find the truth in his brother’s claims that he has killed his wife, Beth. Frankie’s loyalty to his brother leads him into a potentially dangerous situation where he may pay the price for Jake’s actions. The play follows two parallel families in America, who are both dealing with the damages of domestic abuse. Q: What is at the heart of A Lie of the Mind? Michael: I think it questions the truths we create in our minds, and how far we are willing to go to protect those beliefs. In this instance, whether it’s born out of the American dream, patriotism, or blindly defending your family in spite of their horrific actions. To what extent do we lie to ourselves in order to secure our perception of the world. Q: This production is only on for a short run – how easy/hard is it to move from one character to another in productions with short runs? Michael: I feel like it’s going to be over before I know it. It’s a very intricate play, so every night we’re finding something new in it. I would love to see where we would be if we were doing it for another couple of months. I’ve loved doing a Sam Shepard and I hope I can do another again soon. Q: Why should everyone get along to see the production? Michael: I think it’s a great piece of writing that is rarely seen in London. Shepard presents a full blooded, surreal world. That seems very significant, at this moment in time, when America is questioning its own relationship with patriotism and the American dream. q: What next for you in 2017?